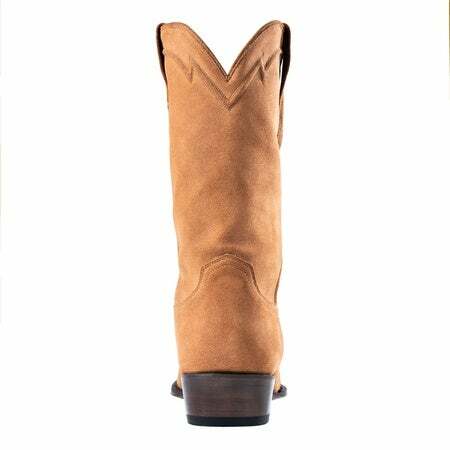 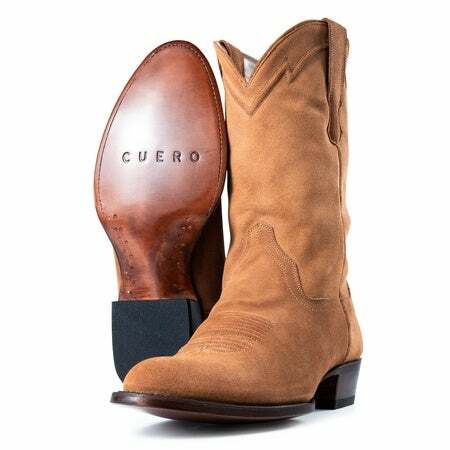 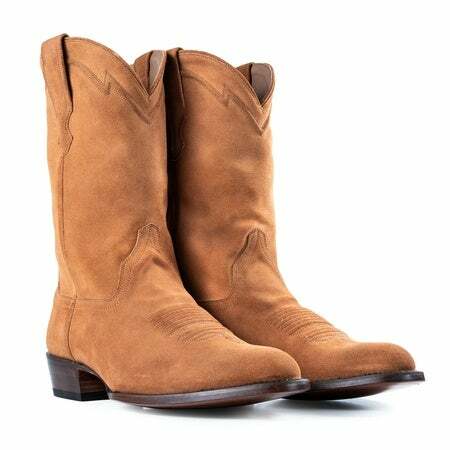 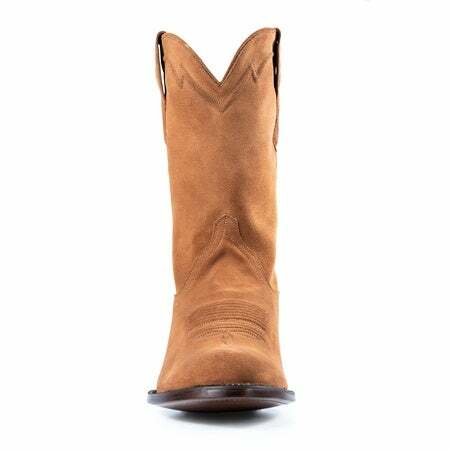 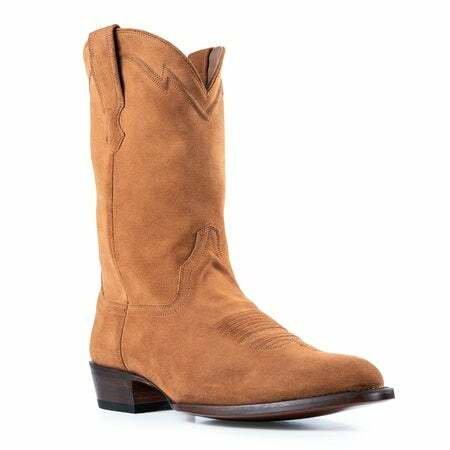 A clean western cowboy boot made with premium, waterproof suede leather. 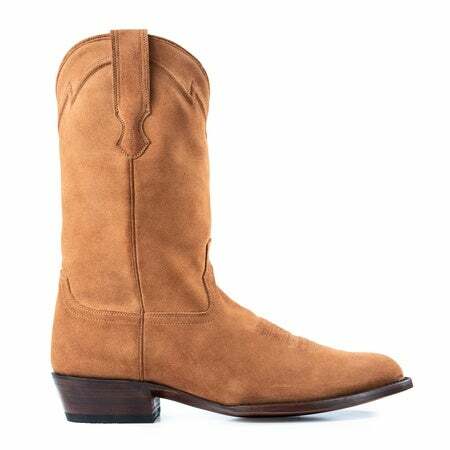 Features a classic angled heel and minimal piping on the top of the shaft. 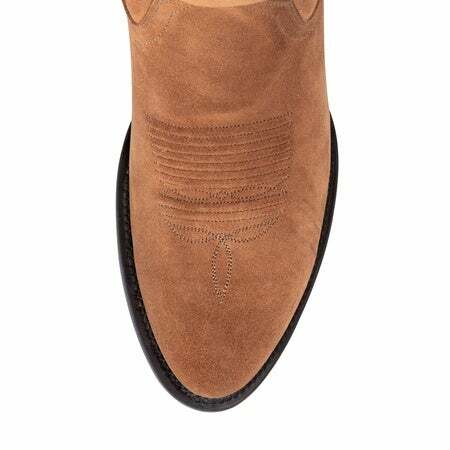 Finished off with stitching on the toe box.